Need an Emergency Locksmith Perth? Gronbek Security provides the reassurance you need in an emergency with a fast response from our 8 fully equipped vans and our 24 hour emergency locksmith Perth service. No matter where you are located in Perth, we can attend your home or business and secure the premises. For added peace of mind, know a fully-licensed and insured locksmith from a reputable provider will be attending your property and can provide the highest quality products and installation. After experiencing a break in, it’s essential to secure your property. Our 24 hour locksmith service for all Perth suburbs can repair, replace or change your locks and can assess your home to identify weak points in your current security. Our mobile locksmiths’ vans are always well-stocked with excellent quality products, and can advise you on the best lock to secure your home. What do I do after a break in? When you have lost your keys, you may not know who has access to your home. We can assist you to get back inside, as well as rekey your lock. A rekeyed lock means the barrel is replaced and previous keys will no longer work in the lock. Rekeying is an ideal solution as there is no need to remove or completely replace the whole unit, only the barrel. Locking yourself out is a terrible feeling, which is why our 24 hour locksmith service is available to quickly respond to your call. With our on-road team working in locations throughout Perth, one of our mobile locksmiths is likely nearby and can respond quickly to your emergency. Good home or office security should make access for you, your family or employees simple, but prevent unauthorised entry. We can also assist by recommending products to simplify and improve your access control. 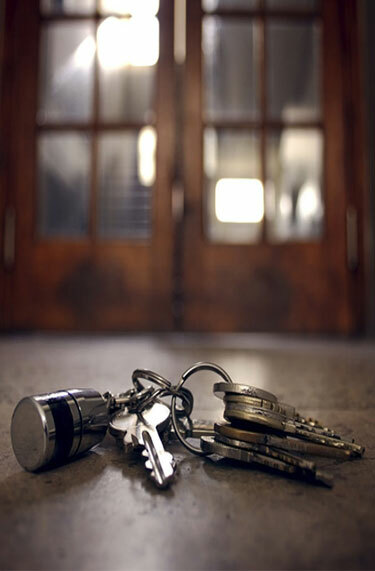 With one call, one of our licensed locksmiths can attend your home or business quickly. Call Gronbek Security on (08) 9433 3311 for a rapid response.